Key holiday periods sell out fast. 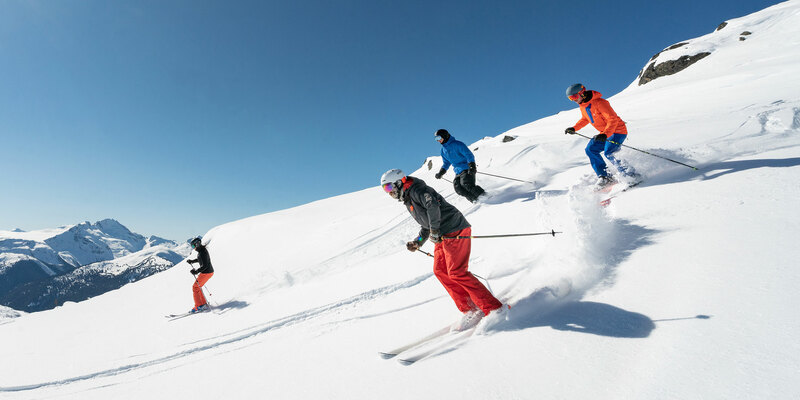 Book early to secure ski school lessons on your preferred dates. Receive 25% OFF selected lessons during these special value periods of the season. Rates include the 25% off for Discover Whistler Days. 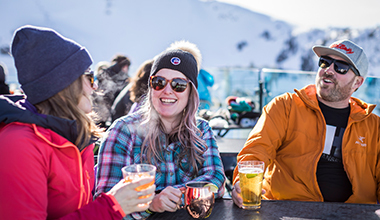 * All Ski and Snowboard School programs must be booked at least 3 days prior to your arrival to take advantage of the listed rates. Private lessons must be booked 7+ days in advance of arrival. Prices subject to change. Lessons start at 8:45 AM. If you are picking up tickets and rentals on your first morning, plan to arrive at 8:00 am. If your have tickets and equipment, please arrive between 8:30 and 8.45 AM. Meeting location is the patio of the Garibaldi Lift Company (GLC) in Whistler Village. Teen Ski & Snowboard Programs (13-18 years) - This is no ordinary ski school, it's a culture. You ski and ride with pros who know the mountain inside out, top to bottom and bottom to top. The results prove that doing it differently is doing it better. Private Lessons (3-18 years) - One-on-one. There's no better way to accelerate learning. Flexible schedules with a high comfort level. 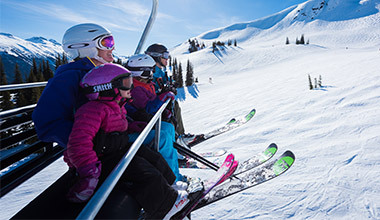 Top instructors from Whistler Blackcomb children's school are available for half and full day private lessons. You will spend the day with your instructor learning new skills, exploring the mountains and having a ton of fun. Lessons alternate between Whistler and Blackcomb Mountains so you will have a chance to explore all the terrain available to your level. Please note beginner skiers and riders may spend more time on one mountain depending on the type of terrain that is suitable. If you have special dietary requirements please discuss them with our sales hosts when making your reservation and again when you arrive. Lunch vouchers are included in the price of the program and can be used at any of our mountain restaurants for most products. Your instructor will take you to the most accessible restaurant each day. Lunch is normally around 11.15 AM each day to beat the rush. Your instructor can let you know where you will be eating at the start of each lesson. Actual time on snow will vary depending on weather conditions the groups ability and stamina. Some groups will take a quick 30 minute lunch with no breaks and others will take more frequent breaks throughout the day. Groups return to the Essentially Blackcomb deck (Whistler Village) by 3:30 PM. Teens can sign themselves out at this time. Whistler Village can be confusing to find your way around, if you are new to the area or unsure how to get back to your hotel please arrange to meet your parents at the end of the day. Ensure that you are well rested and have eaten breakfast. Helmet: mandatory for all children and teens aged 3-18 yrs participating in ski and snowboard programs. Olivia McNeil is living the dream at only 15 years old. She shares her passion for freeriding and gives us an insight into the competitive scene.